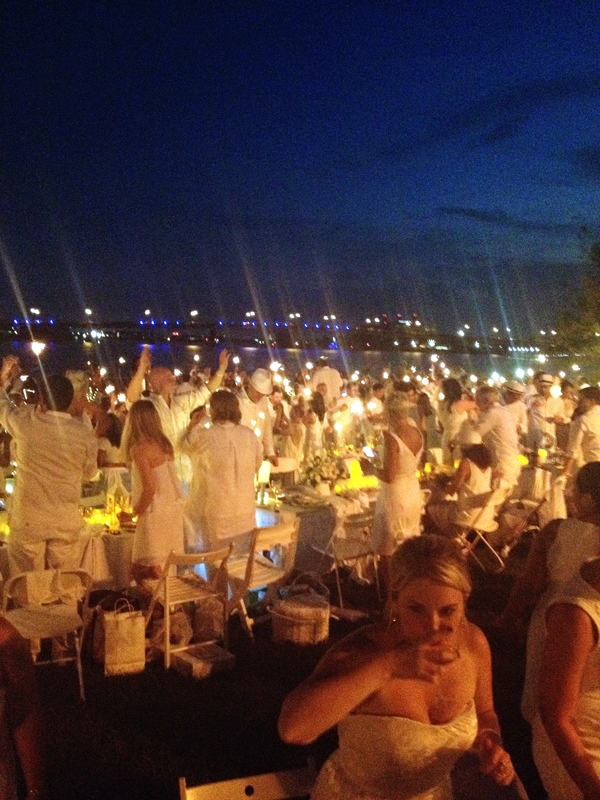 The international pop-up picnic started by Francois Pasquier in Paris 25 years ago, debuted in DC last night. 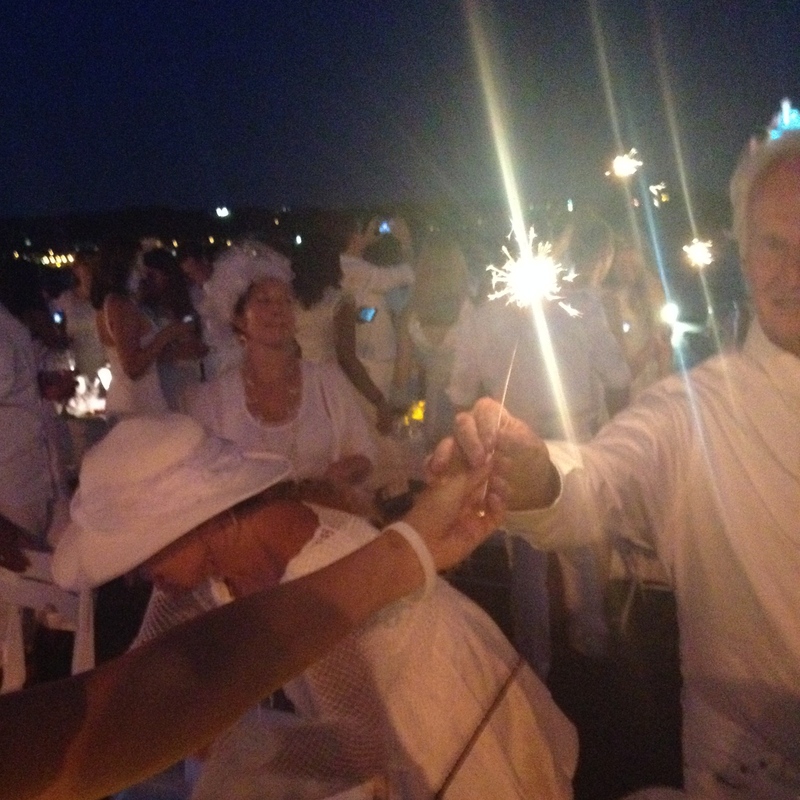 It was an evening filled with food, music, sparklers, and about 1,200 strangers all dressed in white. 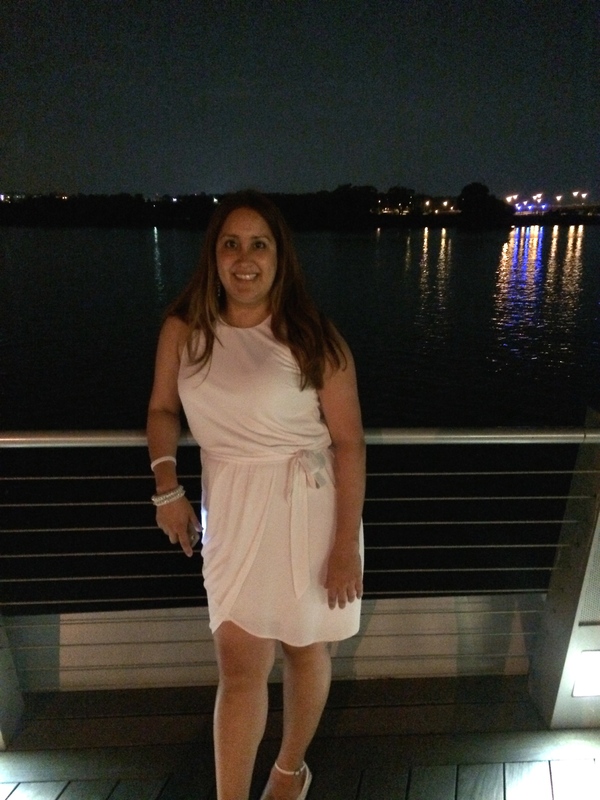 Groups of participants met up with group leaders at locations throughout the city, hopped on metro, and headed to the secret location: the Yards Park. The metro trip there was not an easy one. 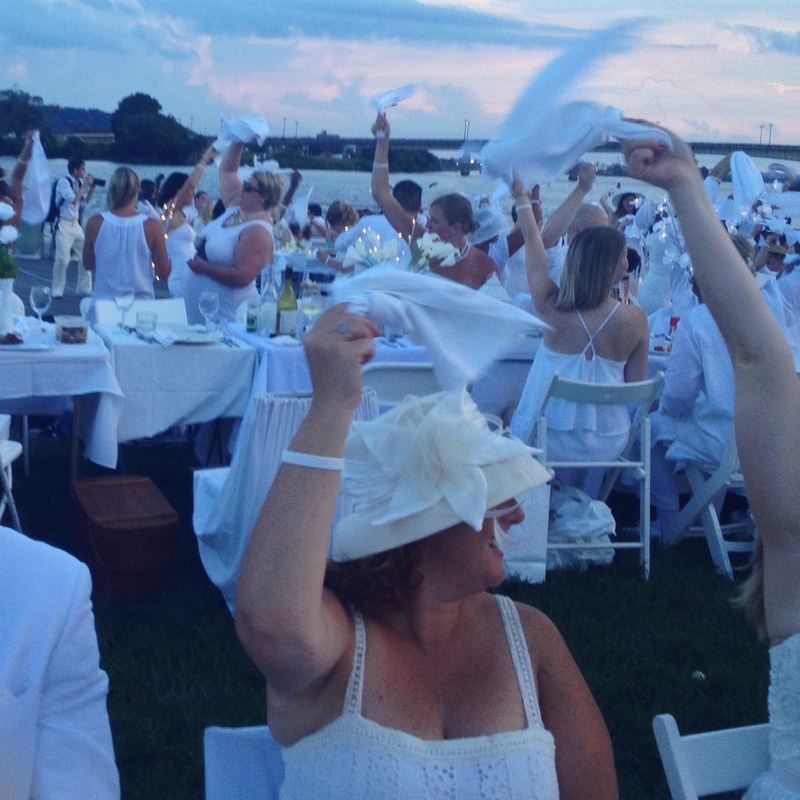 Hundreds of participants boarded metro, all carrying their tables, chairs, and picnic baskets while dressed in their white finery. I was disappointed with the location when we first arrived. I was expecting a more iconic backdrop with a view of one of the many DC monuments. 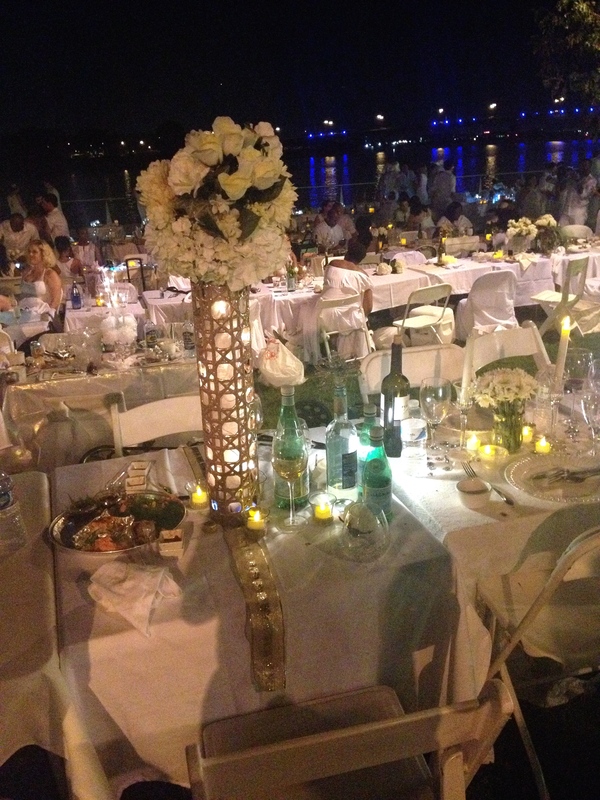 But as all the groups set up their tables, the empty space turned into an elegant dinner party with a view of the Anacostia river. 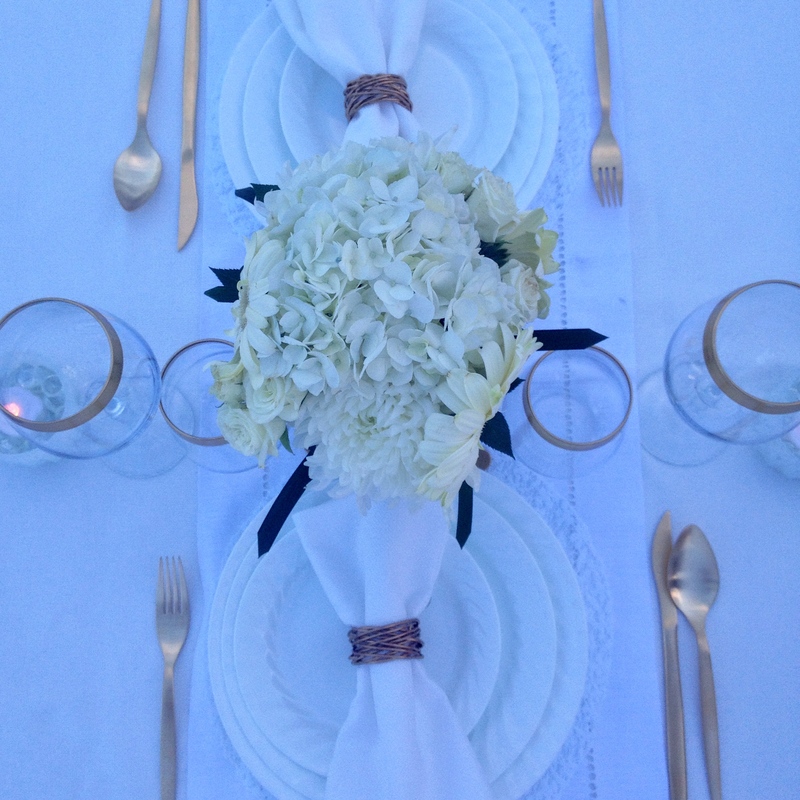 The evening started with the waving of napkins in the air and a jazz band. 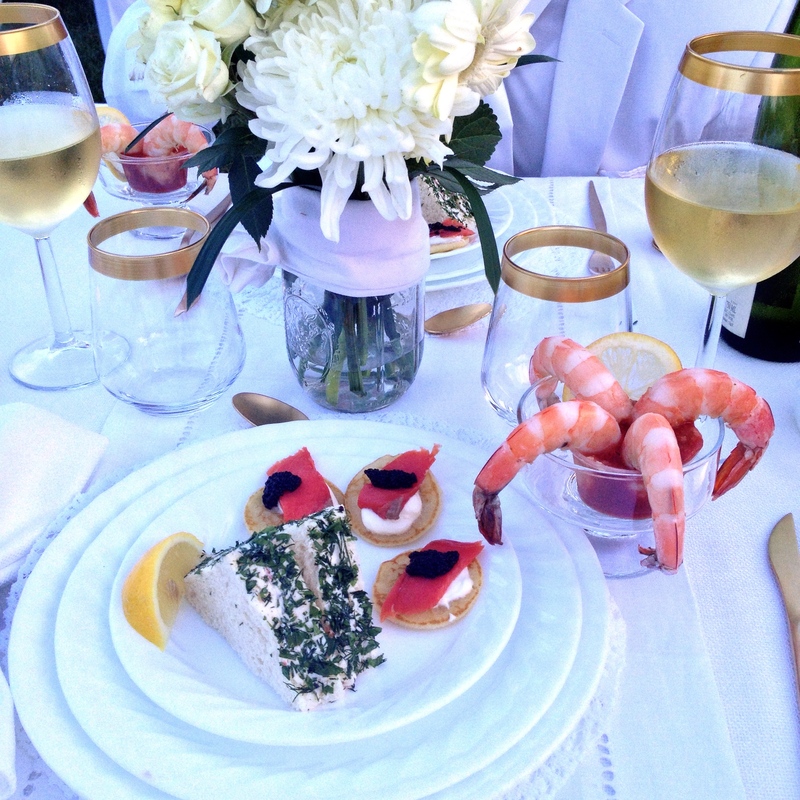 We sat down to feast on our picnic dinners and sip on wine. 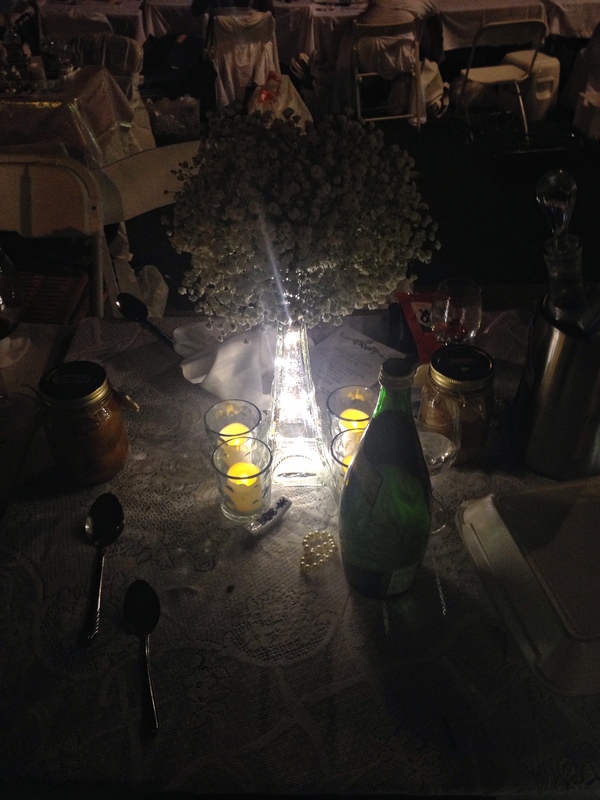 The second part of the evening was marked by the traditional lighting of sparklers, and opening of the dance floor. 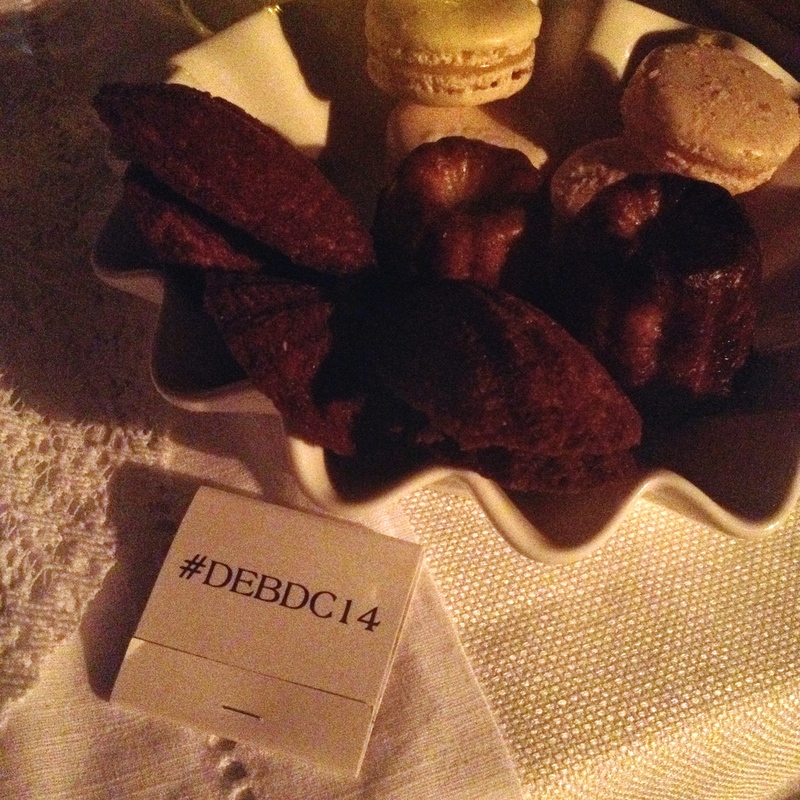 Matches branded with the #DEBDC14 hashtag had been distributed along with our white Diner en Blanc wristbands. 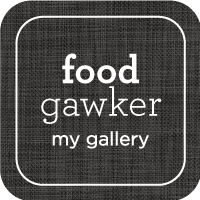 Everyone instantly became acquainted with dinner companions in nearby tables, sharing food and stories throughout the evening. The event was extremely well organized. 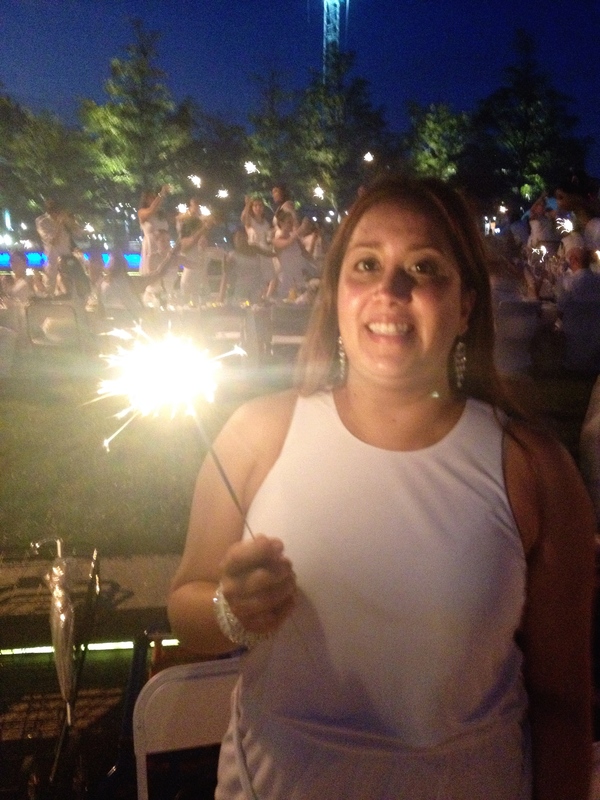 Although it required a lot of planning, I really enjoyed the evening and can’t wait until next year’s Diner en Blanc! 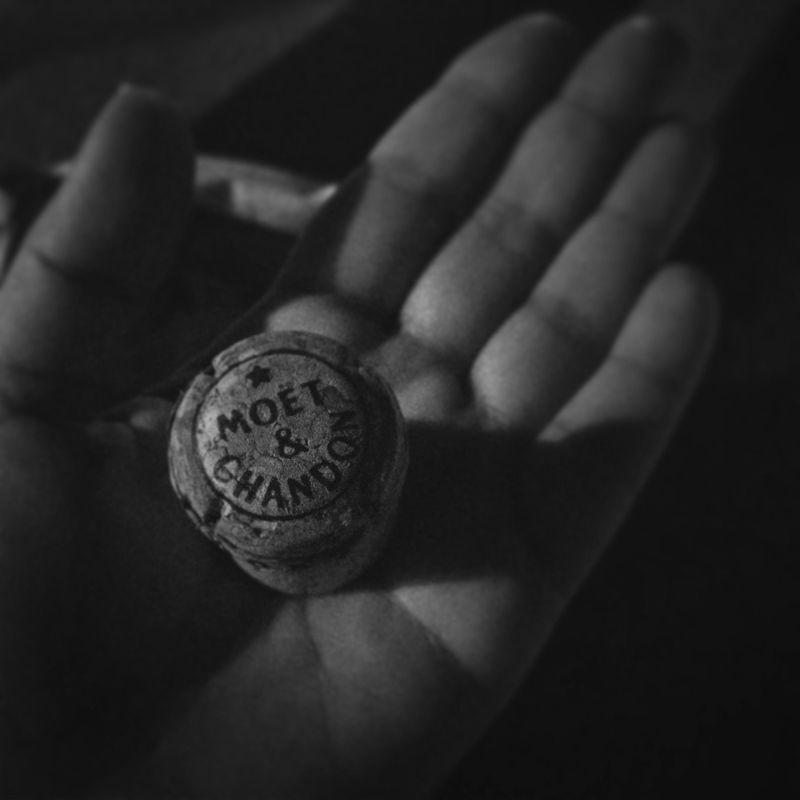 I leave you with some photos from last night. Sparklers marked the opening of the dance floor. How gorgeous is this floral arrangement in a tall vase? 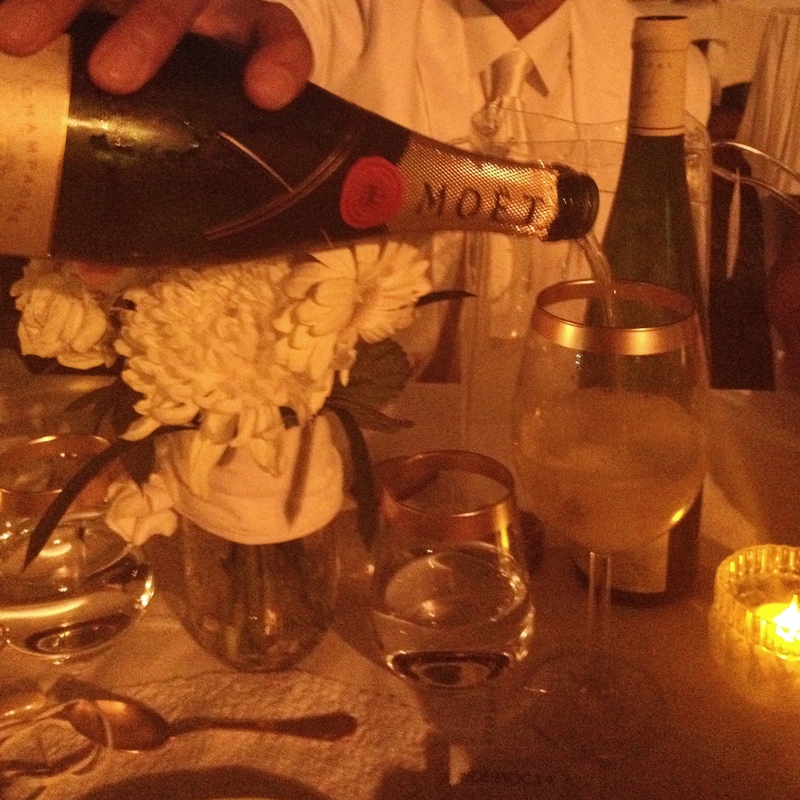 A must for the evening: a bottle of Moet & Chandon, sponsor of the event. 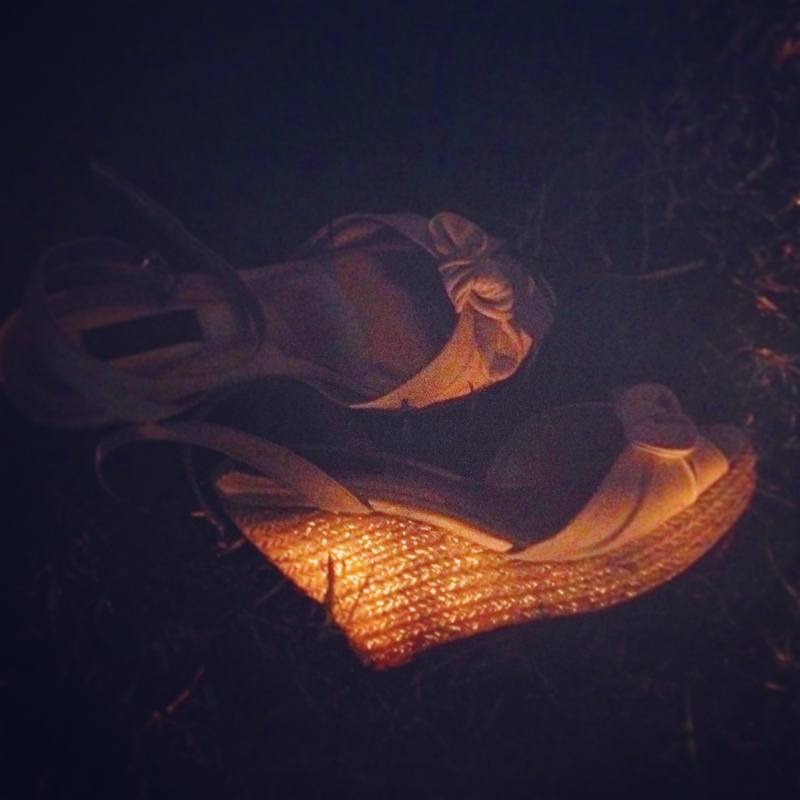 At the end of the evening, I was ready to kick off my white espadrille wedges and go barefoot on the lush grass.